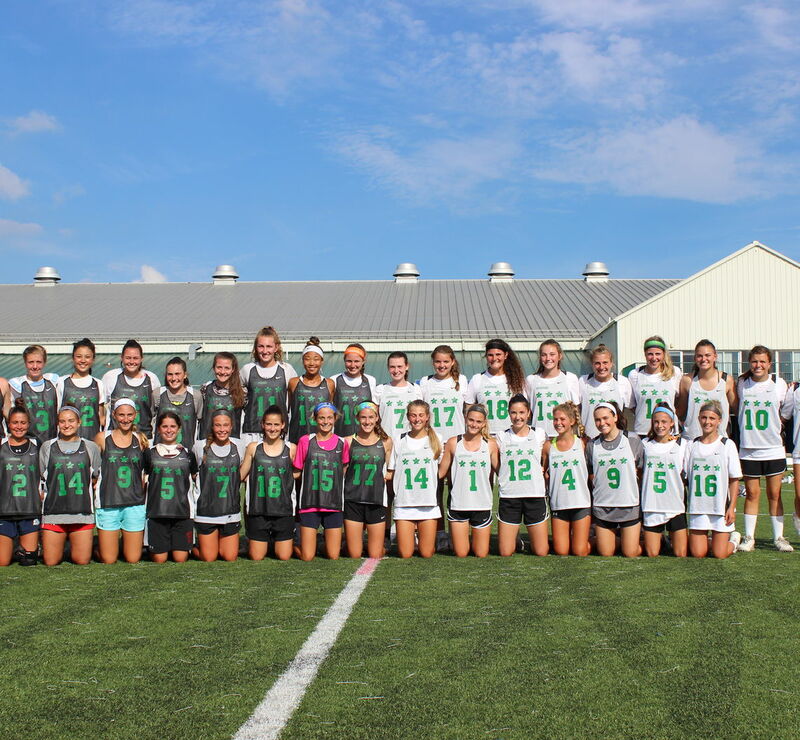 Featured are players that stood out to Danielle Kirk during the Girls Philly Summer Showcase. Danielle Kirk is the Director of Girls Events at NXT Sports and former National Champion at the University of Maryland. At Maryland, Kirk was part of the 2010 National Champion Terrapins. After graduation, Kirk immediately began a career in coaching, starting at Florida power house Vero Beach High School and now most recently at Owen J Roberts High School in PA. Kirk is also a rated High School and College official. Elizabeth aka Libby was a player that surprised a lot of people, coming from the midwest and displaying a level of play that can only be described as stone cold. Relaxed and poised, she took charge of the field. To be completely honest, there wasn’t much she couldn’t do. She stood out amongst the crowd on both ends of the field with her 1v1 defense and her quickstep on the attack. She is the kind of kid who catches your eye at first because of her athletic and fierce presence. The next thing I noticed was how unconventional she is. I thought for sure this kid was a soccer player or basketball player who was new to lax. I was wrong. She is a BC kid who grew up in the box. Needless to say, her stickwork in traffic and in front of the cage is stupefying. She also has an explosive speed between the 30s which made her a serious threat. She was unstoppable in a 1v1 as she is most comfortable in tight spaces. This kid is creative, strong, and aggressive and was entertaining to watch! The MVP with an on the field attitude to match her size and grit, Delahaye's stick skills and ability to thread the needle are second to none. Give her the ball in transition attack and she won’t be stopped. With her size and speed, she will run through any defender with a quick roll dodge from lefty to righty and finish top left without breaking a sweat. We saw it first hand in her games throughout the day. She is unselfish and persistent to put the team first. You think shooting is her only gift? Watch her feed from any angle on the field. Delahaye is a stand out 2020 who will be running the game in the NCAA very soon. Easily one of the best on the field. She will lure you in giving you enough space and will steal the ball right out of the air. She plays defense but her stick skills make you think otherwise. She was quick to the ground ball with her feet continually moving, clearing the ball to the middies and attackers. She caught the eyes of many college coaches. I am excited about her future -- she is Krushing it. Very exciting to watch in both pool play and the All-Star game. She was a no-brainer for the All-Star Game with her between the lines movement and quick Middie mindset to get the ball down the field. Whether she was on attack or defense, her presence was known. An extremely unselfish player who will turn heads immediately. Follow us throughout the weekend on Instagram and Twitter for event highlights!